1Convert native and scanned documents to various document formats. 2Extract text from image, scanned PDF to fully editable Word and Excel. 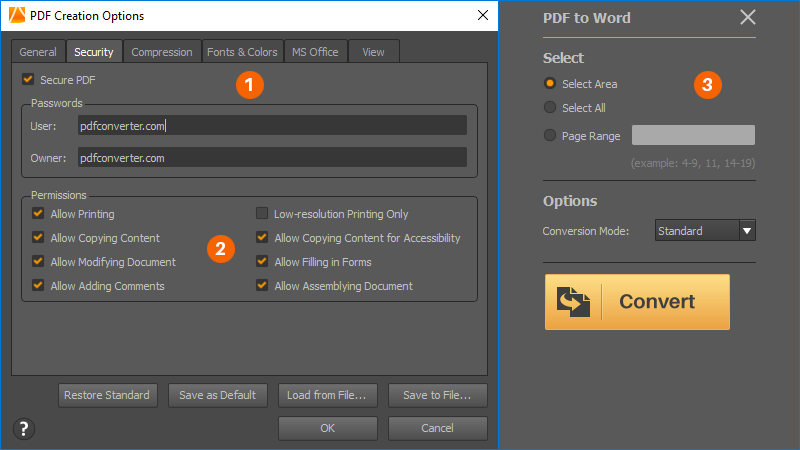 3Convert scanned documents with batch conversion. 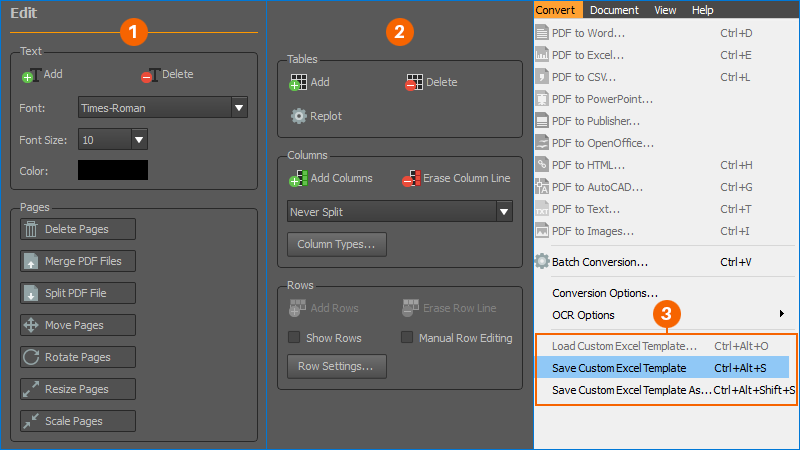 3Save your customized parameters for the next suitable conversion. 1Extract pages from your PDF and save them for later. 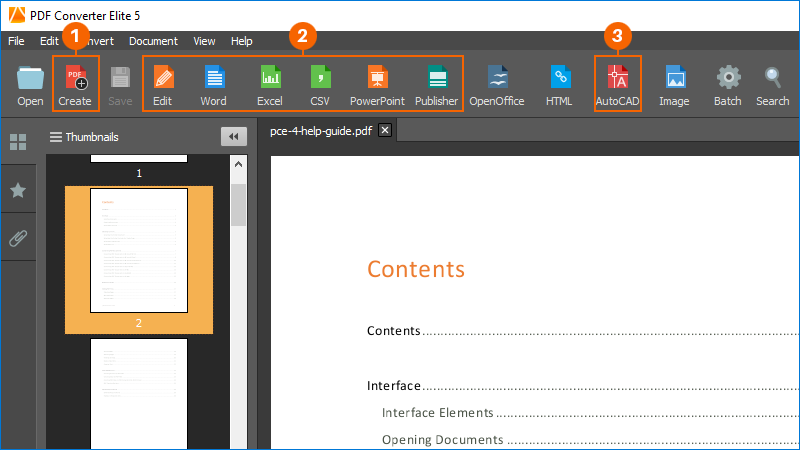 2Combine PDF files into one and have all the content on one place. 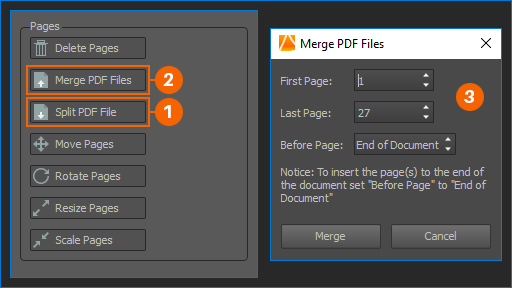 3Merge specific PDF pages into another PDF. Protect your paperwork. Share the documents with your colleagues. 1Protect your PDFs to manage your document privacy and usage. 2Limit how others view and use your files by encrypting your PDFs. 3Select a specific part of the document and turn it to the format you need. 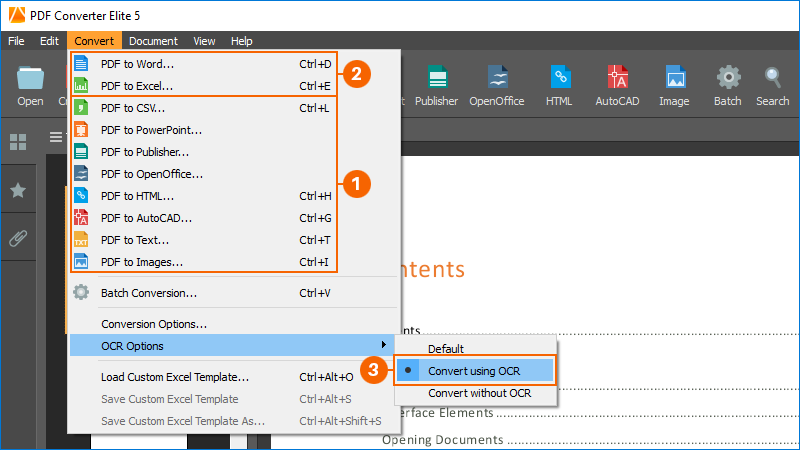 Save time – convert multiple files at once. View PDF before conversion. 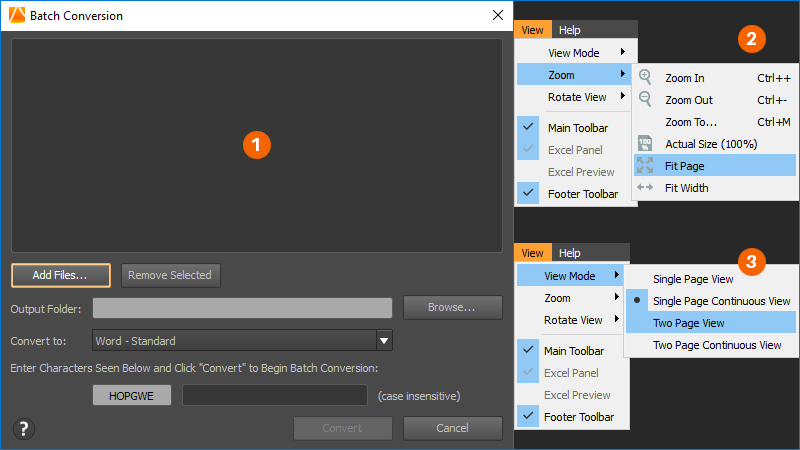 1Convert multiple documents at the same time using batch conversion. Even scanned PDFs. 2Customize the viewing experience to accommodate your needs. 3Decide what page viewing mode you will use.